Some 150 people spent the whole day on Nov. 17 protesting the Brooklyn Real Estate Summit held at the Brooklyn Museum. Shouting “Brooklyn is not for sale!” “Once I pay the rent, damn, all my money’s spent!” and “Whose communities? Our community!” these activists made it loud and clear that they will never stop fighting vulture “luxury developers,” who are backed by huge Wall Street banks, which are devastating huge swaths of Brooklyn through gentrification. 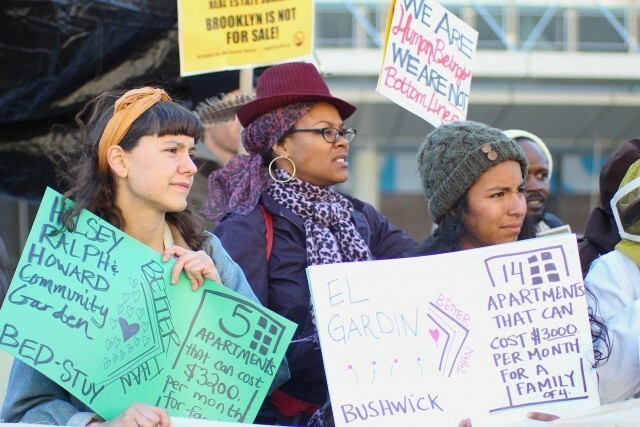 On Nov. 17, The Brooklyn Anti-Gentrification Network (BAN) will be leading a protest at the Brooklyn Museum where over 600 of the most elite real estate owners, developers and investors are gathering for the Sixth Annual Brooklyn Real Estate Summit. The latest in a series of such summits, these big ticket affairs bring together the key corporate “players” in Brooklyn’s multibillion-dollar gentrification epidemic, alongside politicians and others who enable and even support the projects that have devastated community after community. Among these [players] have been former Brooklyn Borough President Marty Markowitz; Alicia Glen, deputy mayor for housing and economic development and formerly of Goldman Sachs; Carlo A. Scissura, president and CEO of the Brooklyn Chamber of Commerce; Karen Brooks Hopkins, former president of the Brooklyn Academy of Music, a cultural lynchpin in the gentrification of Fort Greene; former New York governor and now Brooklyn real estate developer Eliot Spitzer; and current Brooklyn Borough President Eric Adams, a vocal advocate (and major campaign fund recipient) of the real estate industry and a speaker at the Nov. 17 summit as well as previous real estate events. In recent weeks BAN has initiated petitioning campaigns to demand the Brooklyn Museum cancel the event, which the coalition of tenants, homeowners, block associations, anti-police brutality groups consider to be a gross violation of the Museum’s mission to serve the diverse communities of Brooklyn. BAN has further demanded that Brooklyn Borough President Adams refuse to attend this summit and instead devote his efforts to serving his constituents regarding their housing needs and addressing the monumental shortage of affordable housing for huge numbers of Brooklynites. An additional BAN member group, Artist Studio Affordability Project, has created a petition to the Museum from the arts community making similar demands that is quickly gathering support, and with more than a week before the summit, over 1,000 signatures have been collected. Endorsed by The Coalition to End Broken Windows, the Nov. 17 protest will begin at 7:30 a.m. and hold a press conference at 12 noon on Nov. 17 to detail why community opposition has coalesced [around] this private gathering at a taxpayer-funded community institution where plans are being developed to further displace and destabilize members of that very community. 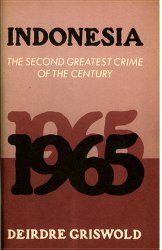 To find out more about BAN, visit bangentrification.org.